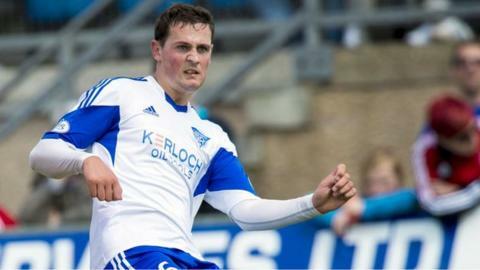 Peterhead have been ordered to replay a Scottish League One match against Ayr United after pleading guilty to fielding a banned player. Reece Donaldson was suspended but played the full 90 minutes of on 15 November. The Scottish Professional Football League censured Peterhead, ordered a replay and fined them £10,000, though part of that is suspended. Donaldson is suspended for the replay, the date of which has not been decided. Peterhead and Donaldson admitted to breaches of SPFL Regulation 21 in the SPFL's Player Registration, Transfer and Contract Regulations. SPFL chief executive Neil Doncaster said the match would be played again "in the interests of sporting integrity and fairness to both sides". Read more on Peterhead F.C.